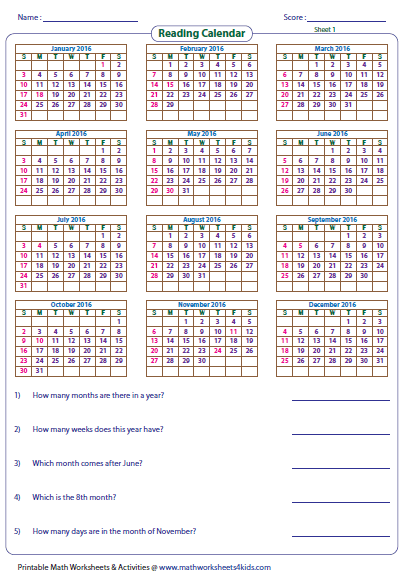 An enormous collection of calendar worksheets for reading, printing and marking are exclusively available on this page. 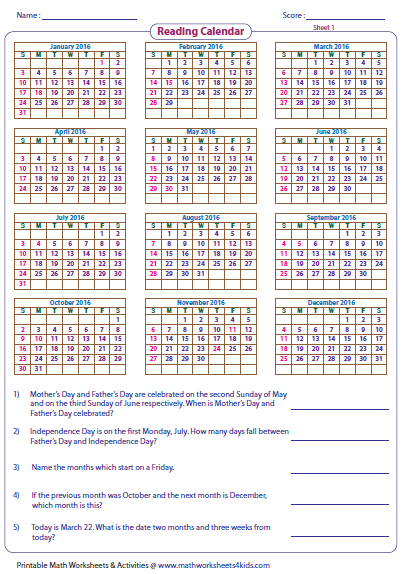 These worksheets are helpful for young and dynamic learners to refer calendars and thus familiarize in reading the dates, days of the week and months of the year. Read the monthly calendars taken from distinct years and answer the simple questions given below each calendar. For 1st grade through 3rd grade. These calendar worksheets have few events marked as information. Students are asked to calculate the days and dates before and after these events. A variety of questions are enclosed in these worksheets. 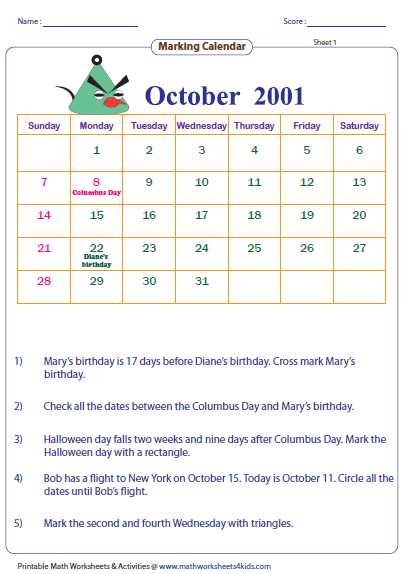 Work on these worksheets to test your understanding on reading calendars. Compare the three different calendars in this section. Calculate the days and dates using the data given. 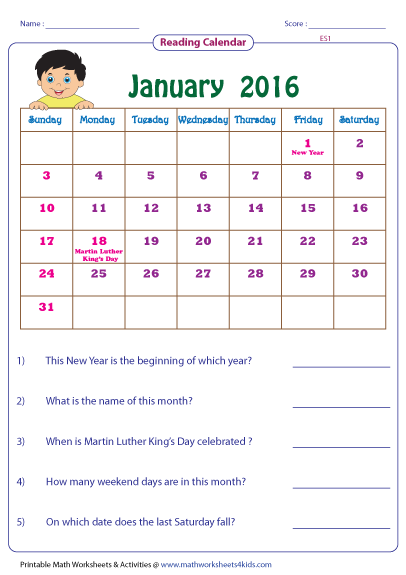 Glance at the yearly calendar and answer the direct questions asked in these worksheets. Practice these sheets to get a thorough idea of reading calendars. Read the calendars and explore more about the number of days, dates and months of the year. Enjoy marking the monthly calendar with triangles, circles, rectangles and check marks as instructed in these worksheets. This calendar can be used in classrooms. 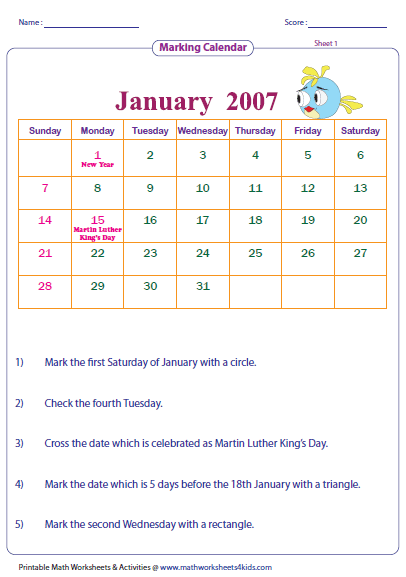 The students can be instructed to mark the days and dates to answer the questions.